If you’re going to be making a big move from Sydney to Brisbane, it’s understandable that you’re thinking about the moving day options and how you might approach the whole challenge. And make no mistake, it will be a challenge, especially if you try to make the move without the help of professionals. Interstate moves cause problems for anyone who tries to go it alone. 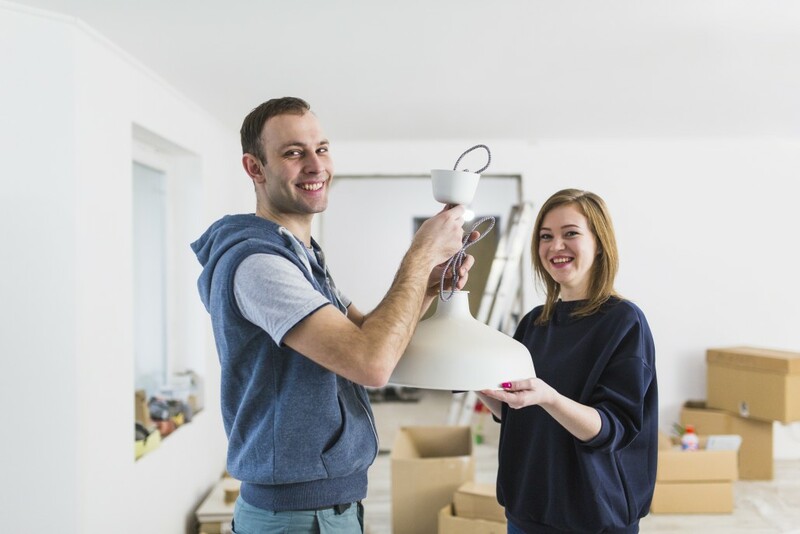 Although there might appear to be some surface-level benefits associated with making the move by yourself without the help of the pros, that’s not necessarily true. To help you learn more about interstate moves like this one and how you should organise and approach them, we’re going to look at what’s involved in moving by yourself, as well as some of the benefits that come with hiring professional interstate removalists. It’s clear that your life will be a lot easier if you take the professional route and avoid the temptation of doing it yourself. But you don’t have to take our word for it right now. Simply read on and find out what the concrete reasons are for this. Self moving is tempting to a lot of people because it appears to be cheaper and simpler than getting other people involved in the process. That’s not really what the reality of the situation looks like when it actually comes to moving day though. Here are the main problems with self moving. There’s so much involved in the process of moving and that workload only increases when you’re moving interstate. If you try to go it alone, you will have to take care of so many little things that you shouldn’t have to take care of. And those little things add up very quickly. Even with friends and family helping you out, there’ll be a lot more work than you think and that’s something that can’t be ignored. It’s not just about running out of time to take care of all the things you need to take care of on moving day either. You also need to think about the physical workload that you’ll be dealing with on the day and in the buildup to it. There’s so much to do and you don’t want to end up putting yourself under more pressure than is necessary. All that heavy lifting and carrying will tire you out, and that’s when accidents happen and things get damaged. Nobody wants that. The stress levels you’ll be exposed to will go through the roof if you try to move by yourself. We all know that moving to a new home is stressful at the best of times, so why make the whole process even more difficult for yourself than it needs to be? There’s really no reason why that has to be the case, so don’t let yourself fall into the trap of self moving. It’s very easy to underestimate just how stressful the move will be. If something goes wrong with the contracts or the keys or whatever else, you will be stressed already. But if you’re also dealing with the practicalities of moving at the same time, those stress levels will be close to unbearable, even for the calmest and most level-headed among us. There’s no need to expose yourself to that stress and it only makes each part of the process harder. If you’ve never been through the process of self moving before, what makes you think you have the knowledge to make a success of it this time? Professional movers know what they’re doing through training and experience that’s gathered over many years. If you’ve never done it before and don’t really know anything about it, you’re bound to make mistakes along the way. The same is true whenever you do a new thing for the first time. The problem with making lots of rookie errors when you’re moving is that it only escalates your stress, causes potentially irreversible damage to your possessions and generally makes a difficult situation even more difficult. Those errors can throw you off course and when mistakes start piling up, the compound one another and begin to overwhelm you. Putting yourself in this position will make you realise how difficult the job of moving is. It’s never as easy as it looks. There are so many things that demand your attention when you’re trying to move home. You can’t simply assume that the practical aspects of moving will be all you have to worry about. As mentioned above, there are many things that can go wrong on moving day and during the days leading up to it. The whole thing could be halted, delayed or fall through in the worst case scenarios. And there’s a whole host of other issues that can arise too. When something does go wrong with the move or some kind of problem arises out of the blue, your attention and focus need to be on these things. But how can that be possible if you’re dealing with the move itself and all of the practical things that come with it? You can only give your attention to so many things at a time before there’s nothing more that can be done to divide up your time and focus. It’s also important to recognise the potential for injuries and things like that when you’re moving by yourself. If you go into the process blind and you don’t have experience of doing this before, you could put yourself at risk. All of that manual work has to be carried out in a safe and proper way to avoid serious injuries. Even picking up a heavy box the wrong way can cause you injuries if you’re not careful, so this possibility has to be taken seriously. Don’t let yourself get hurt for the sake of your move. It’s definitely not worth it and you’ll only end up regretting your decision if you do hurt yourself. Professional movers know how to work safely, so even if their safe work looks easy from a distance, they’re most likely doing more than your realise to keep themselves safe and avoid injuries as they work. That’s why you might fall short if you try it yourself. Before you decide to use a professional interstate removalist service, you probably want to find out a bit more about what makes them appealing and why they’ll make your life easier. In truth, there are lots of benefits but here are the most important and immediate ones to know about. Professional removalists have been doing their work for a long time and even those new to it have experience of working alongside professionals who’ve passed on their knowledge to them. As well as that they’re trained to a high standard. So, when they arrive at each new job, they’re bringing more than brute force and strength; they’re also bringing their professional knowledge and experience to the task at hand and that’s what matters most. Their knowledge and experience help in those situations when something unexpected arises and they have to think on their feet to find a solution to something. These situations are pretty common when moving because each job is different and there’s always an element of unpredictability that has to be taken into account. They can deal with these situations by calling on their knowledge and past experiences in the job. That’s something that won’t be as easy when self moving. Safety is something that should always be taken into account when you’re making a big home move. Professional removalists know what it takes to move safely and without anyone getting hurt along the way. As we mentioned above, that’s probably not something that you’d be able to ensure if you try to move by yourself. Never put yourself at risk by sacrificing safety for the sake of saving a little money; it’s a trade-off that never makes sense. You can rely on professions with many years of experience to ensure your home move goes the way you need it to from a safety perspective. And when you’re not doing any of the heavy lifting, you won’t be at risk of those minor injuries that are all too common when people try to conduct their own home moves. As long as you hire reliable people who know what they’re doing, safety won’t need to be a concern. We all want to make sure that our possessions get from our old home to our new one in one piece, but that’s not always what happens. To make sure your possessions arrive safely at their destination, it makes sense to hire professional removalists who know what they’re doing. Accidents are far less common when the heavy lifting and manual work is being carried out by people who really know what they’re doing. Unnecessary damage tends to happen when things aren’t being done properly, but hiring reliable professionals who know the right and wrong ways to move will ensure everything is done by the book and no corners are cut. You’ll be thankful for their adherence to the rules when your possessions all arrive in one piece and nothing needs to be replaced. Of course, there are no guarantees but hiring the pros is definitely the wisest path to take. If you’re trying to move alone, you almost certainly won’t have all of the right equipment available to make things possible. This is why it’s best to hire professional removalists. Not only do they have all the right tools and equipment available to them as they take on the job, but they also know exactly how to use it in the most safe and effective way, which also makes a big difference. They’ve used it before and know how to get the most out of it. The reason why this matters so much is that it makes the process of moving faster and more efficient. Everything that removalists use as part of their job is used for a reason, even if the people who hire them don’t understand the ins and outs of all that equipment and what it’s being used for, the removalists do. They’ll do everything possible to make the move as efficient and successful as it can be. Receiving proper insurance cover for the move is included in the price when you choose to use a professional removalist service. This is one of the things that makes it so appealing. Even if there’s less chance of something going wrong or a possession getting damaged when using a professional removalist company, there’s always a chance that something could happen and that’s why it’s good to know that you’re covered by insurance. You won’t have to worry about finding your own quote or paying the cost of it because the removalist company you use will more than likely have that insurance cover already in place, and it will cover your move as well as all the others they carry out. That’s a definite bonus and another way in which the entire process of moving is made easier for you by hiring professional interstate removalists. It’s also some extra peace of mind for you, which is never a bad thing. Moving all the way from Sydney to Brisbane is a big task, and as the information above should make clear to you, it’s not something that you should want to take on alone. There are too many risks involved and why put yourself under that much pressure and expose yourself to so much stress? None of that’s necessary thanks to the professional and reliable services offered here at Interstate Removalists. Trust in us to get the job done professionally, smoothly and securely.